This election year has been rife with political conspiracy theories, from Hillary Clinton supposedly funding Donald Trump's campaign to President Obama's birth status (again). Our country has a long history of conspiracy theories wending their way into popular culture and politics. From the death of JFK to the "birther" movement, conspiracy theories have saturated American politics for decades. Some may roll their eyes at the idea of a second shooter, but conspiracy theories do serve a purpose. Joseph Uscinski, author of "American Conspiracy Theories" and Politico reporter Darren Samuelsohn talked with MPR News reporter Euan Kerri about why American culture is saturated with conspiracy theories. But to back up, what is a conspiracy theory, exactly? "A small group of people -- the conspirators -- working in secret for their own benefit and against the common good," Uscinski said. "Usually that theory will run afoul when compared to more authoritative accounts of the same events and circumstances." Watergate would be an example of a conspiracy, because that actually happened. 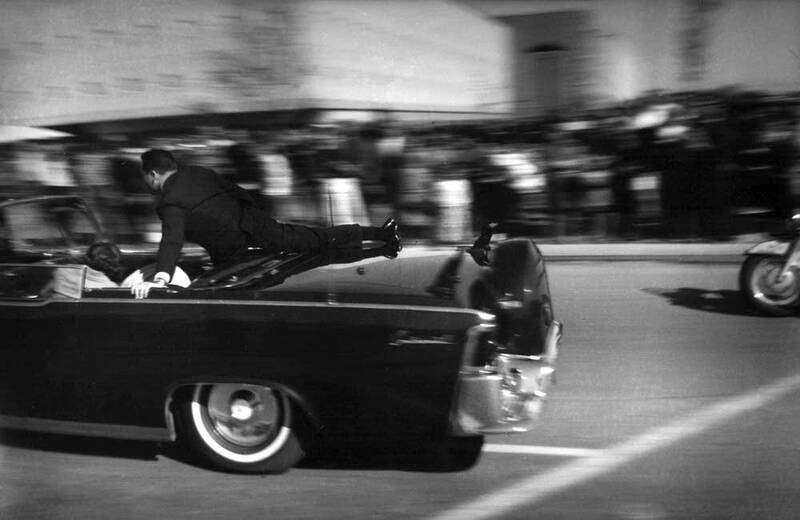 The idea that JFK was killed by Castro or the mafia would be considered a conspiracy theory. Conspiracy theories may seem to be more prevalent because of the Internet, but Uscinksi said that's not true. In fact, there are a lot of fact-based websites dedicated to debunking those theories. "You have the ability to...hear stuff right from authorities and experts in a way that you never had before," he said. "Conspiracy theorizing in the masses have gone down." However, both experts agree that this election is different. Candidates Hillary Clinton, Donald Trump, and even Bernie Sanders have taken part in disseminating conspiracy theories, as Samuelsohn pointed out. Clinton has been very critical of Trump not releasing his taxes, and has been suggesting he has something to hide. That theory remains unproven, though more evidence is coming out to support it. Both Trump and Sanders claimed the election is rigged. Of course, those claims are in different contexts. Trump is telling his supporters the contest is skewed for Clinton. Sanders had reason to believe the DFL wasn't giving his campaign as much support, which was reinforced by leaked emails. "So sometimes a conspiracy theory moves into the norm, once evidence starts to prove otherwise," Samuelsohn said. However, when theories are unfounded and important figures are disseminating them, Samuelsohn said that's cause for concern and Uscinski agreed. When conspiracy theories are used by those on the outside -- or "losers", as Uscinski describes them in a chapter of his book -- they serve a purpose. After all, he said, people in power are expected to be criticized by outsiders. But it can become dangerous when powerful people spread theories about those who are more vulnerable -- people such as refugees or undocumented immigrants who have been on the receiving end of Trump's accusations. "For someone like that to point their finger at them puts them in a very precarious situation," Uscinski said. "Even if he doesn't act against them the way he says he wants to, other people may act on his expectations. Other people may take action in to their own hands." Samuelsohn added that there are apparently fewer personal or political consequences for people in power who embrace fringe theories. "People are feeling more comfortable talking about these and not being repudiated in a way that necessarily they were before," he said. "When you have to take down the establishment (to get ahead) you generally have to do it with conspiracy theories," Uscinski said. "That's the only way to say that the entire establishment is wrong." To hear the entire discussion, select the audio link above.